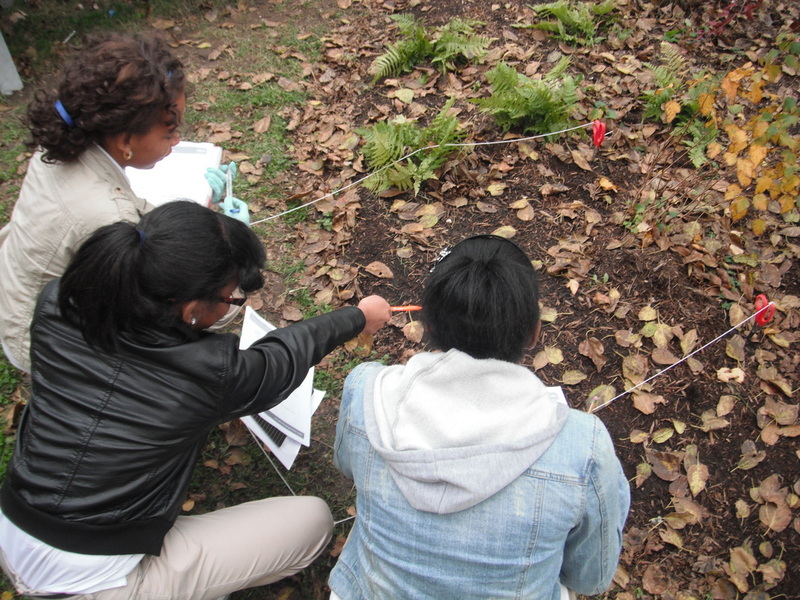 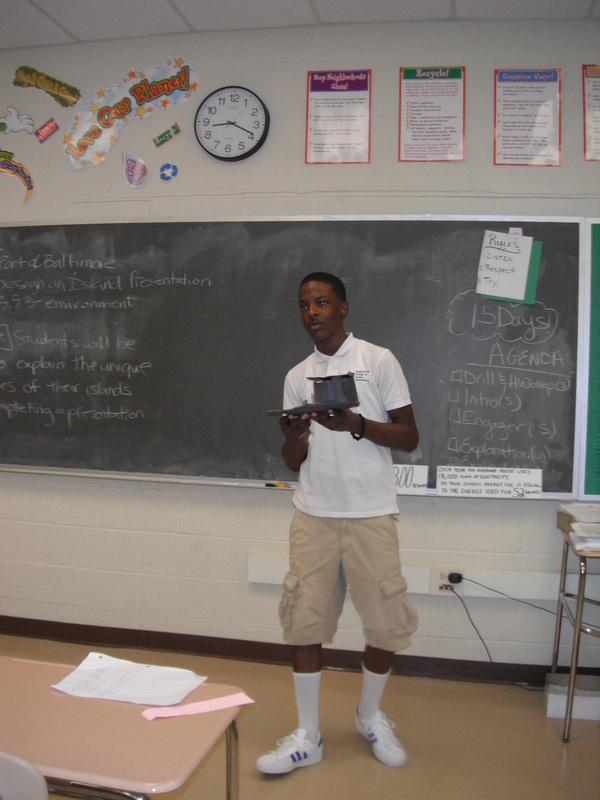 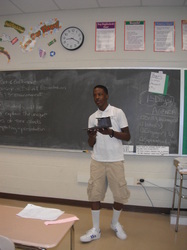 The 9th grade Science & Sustainability curriculum focus was environmental science. Throughout the entire year the students continuously analyzed their role in climate change. 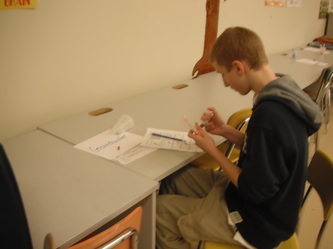 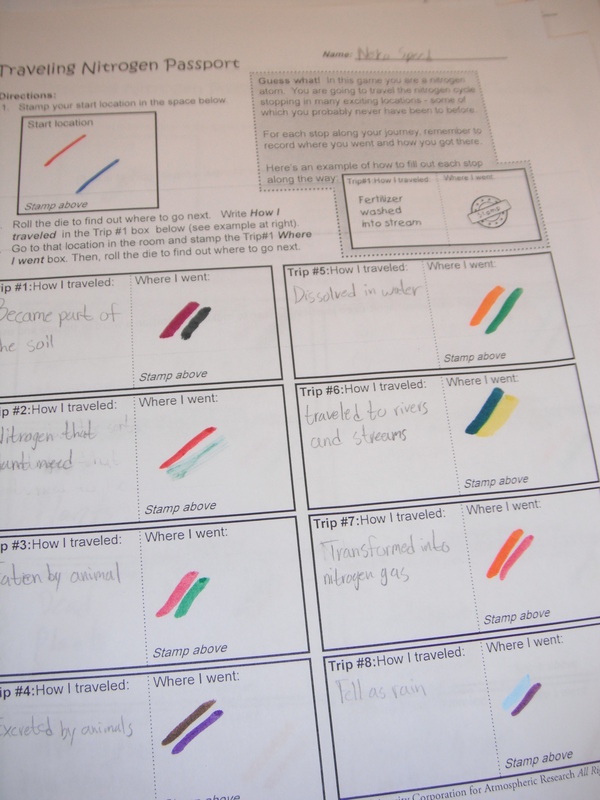 By using the resources such as the "NOAA Climate Change Toolkit", the "Buy, Use, Toss" curriculum, and "Teaching Populations", the students were exposed to lots of hands on activities that expanded their learning. 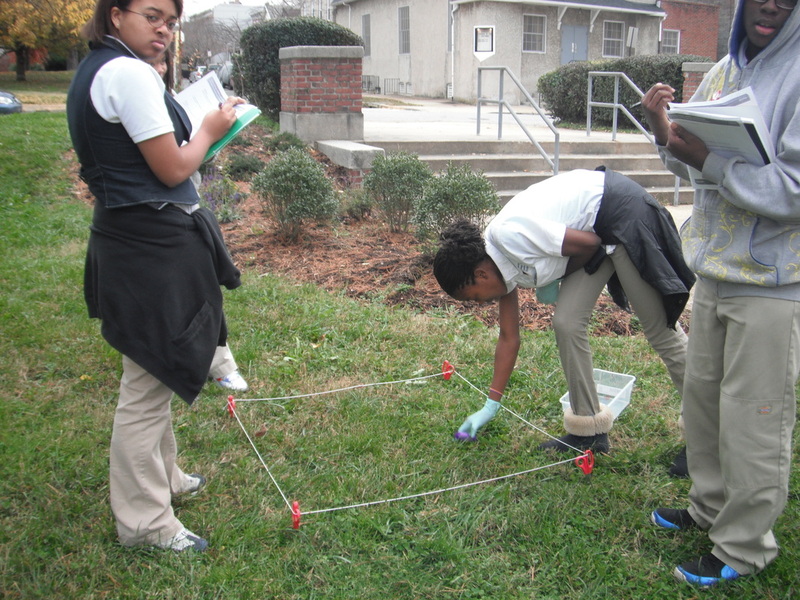 Students transected various areas of the school grounds. They plotted areas and recorded what was found in each transection. 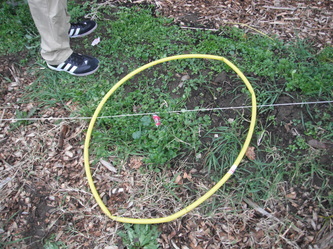 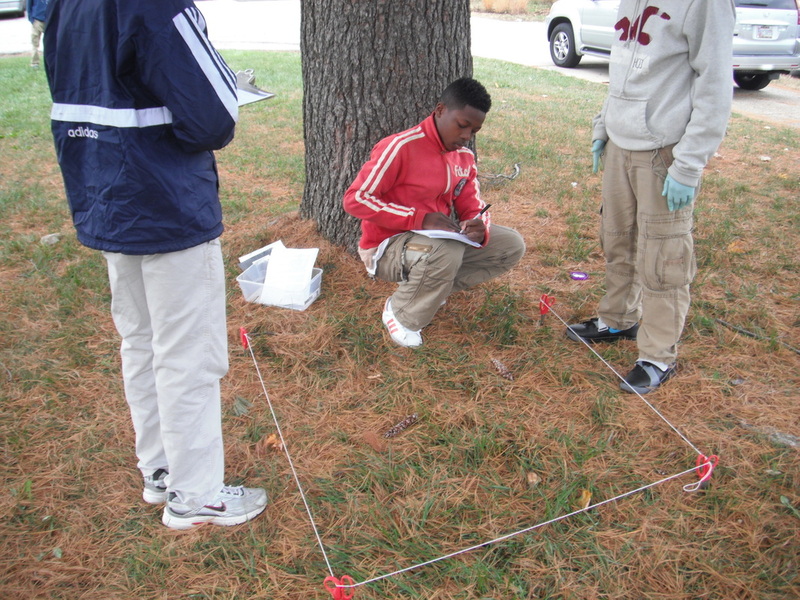 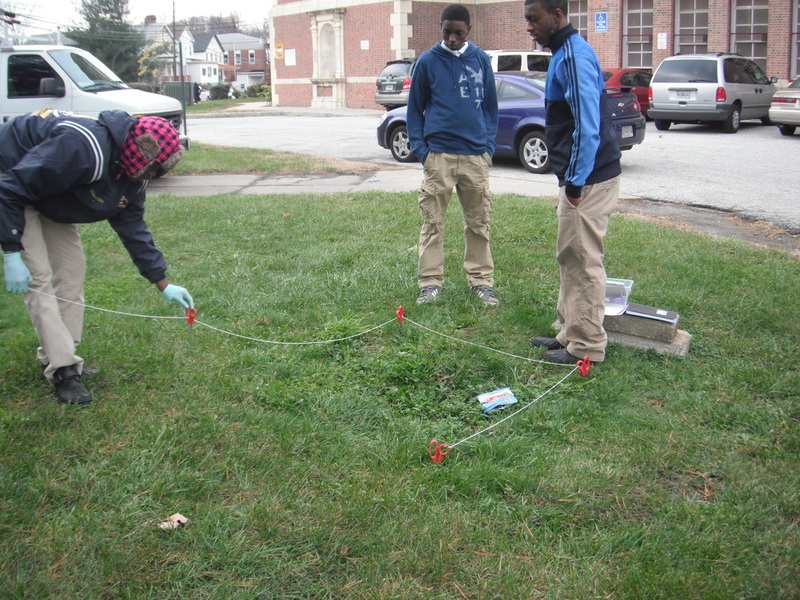 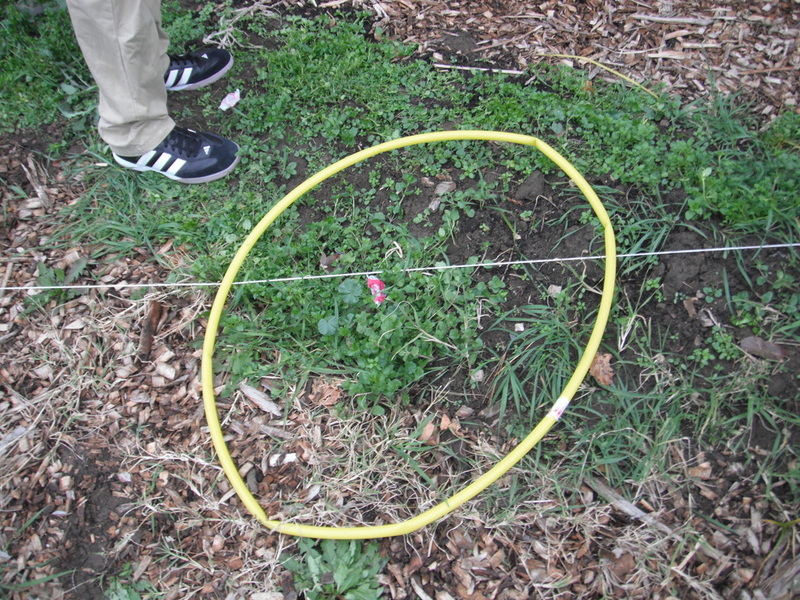 They observed the biodiversity, trash, and temperature of each plot. 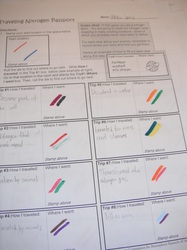 They used this information to compile a school yard report. 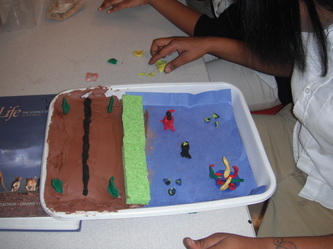 Students used sponges to act as wetlands in their paint pan representations of coastal areas. The students enjoyed working with clay to create highways and animals. 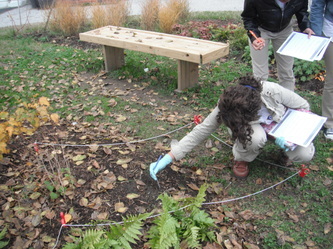 They poured colored water at the top of their pans to see where the polluted water would go. 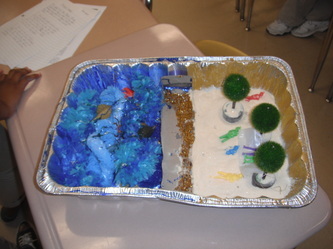 This helped them to see the impact pollution would have on the bodies of water at the bottom of their pans. They then placed sponges as barriers to the pollution. 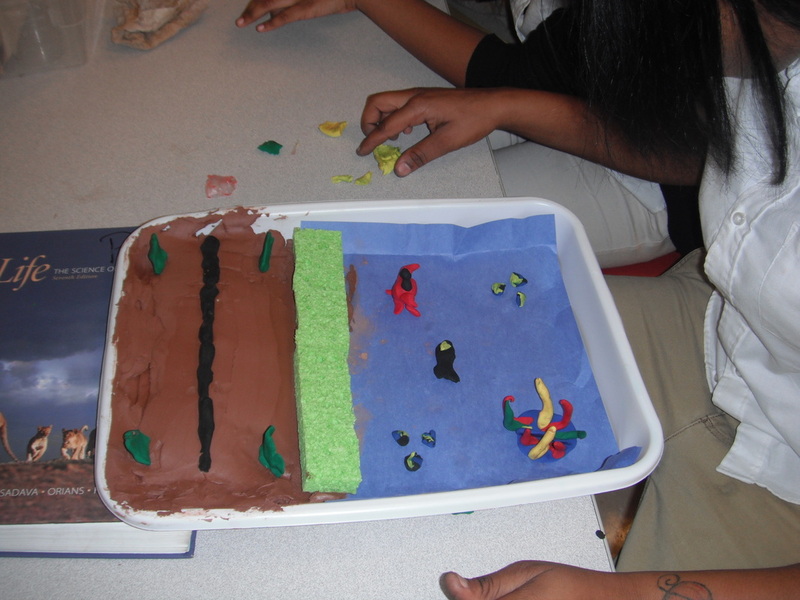 The students truly grasped the importance of wetlands after this activity. 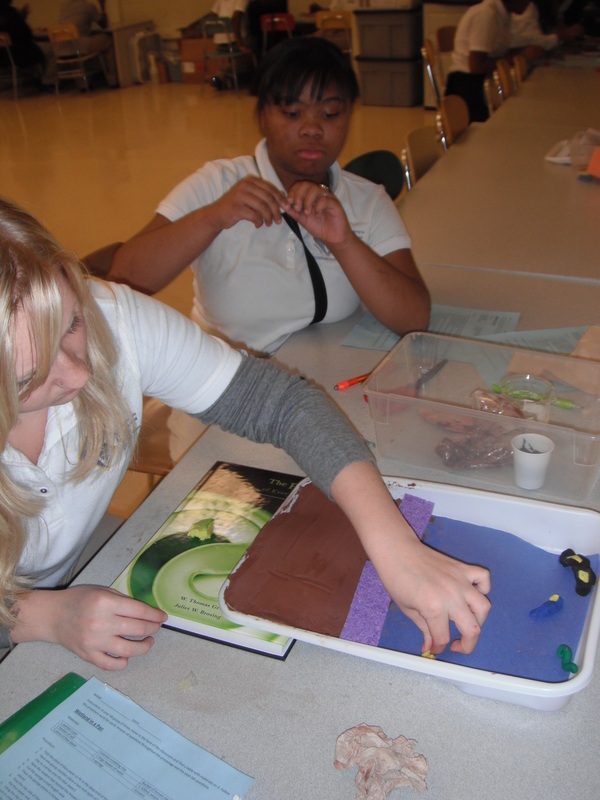 Students were excited to dissect an oyster after learning about them during the climate change unit. The students had spent alot of time reading about what had happened to the oyster populations in the Bay. 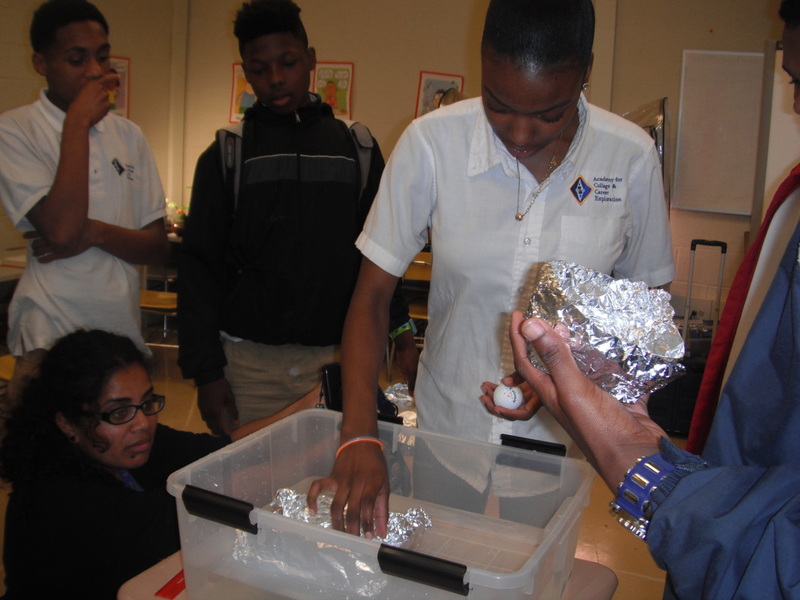 They found it hard to believe that the Bay used to be filled with giant oyster shoals, but now oyster populations have been drastically reduced due to pollution. 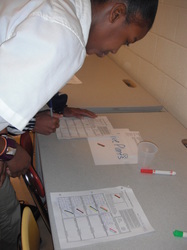 As students learned about the impact of carbon on the environment, they completed various activities to expand their learning such as the carbon cycle game. Students were learning about the Port of Baltimore and the importance of dredging. 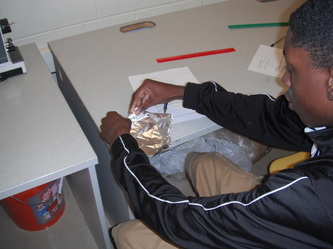 This build a boat activity gave the students specifications that they had to adhere to for building their boats. 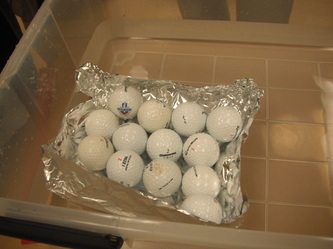 The goal of this activity was to have the team with the best design fit the most golf balls in their boat without leaking water into the boat or sinking the boat. The class discussed how hard it is for boats to fit unless dredging occurs. 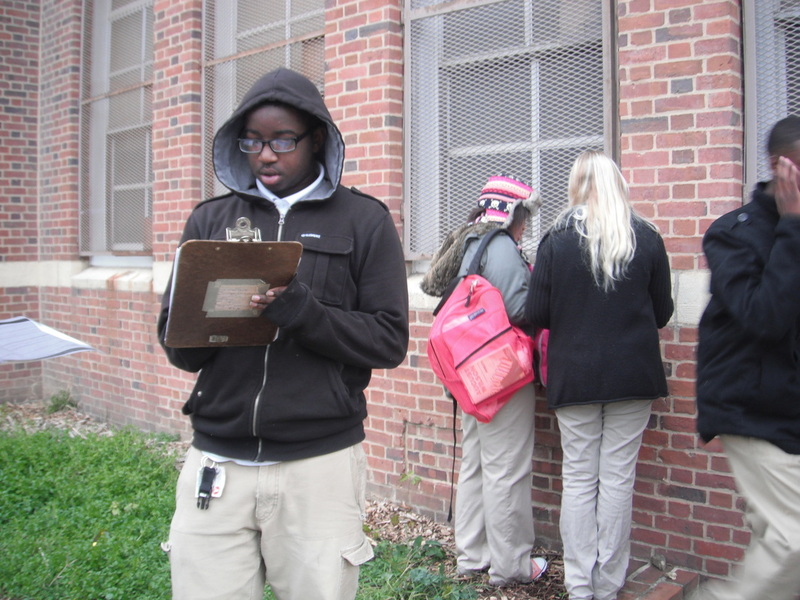 The students then went on to take a field trip to a dredged material placement site to see how dredged material can be used to restore habitats that have been dissipated due to coastal erosion. 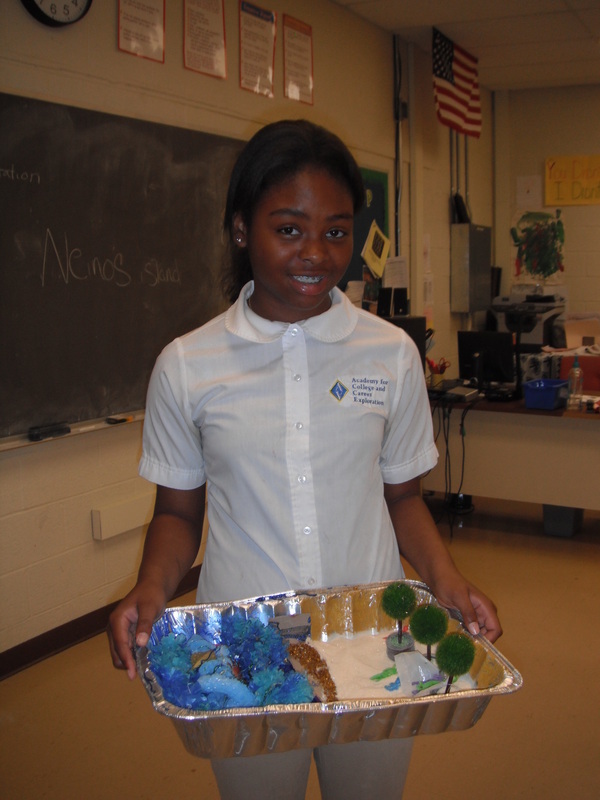 The students selected different islands of the Chesapeake Bay to research. 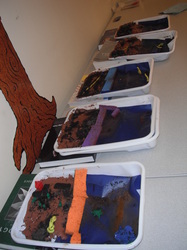 They then created their own islands and described what they would do to prevent coastal erosion to the islands they created. 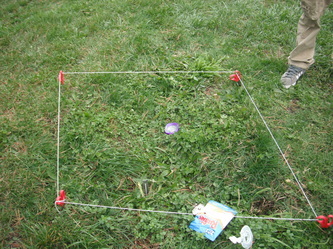 The pictures above are several examples of their handmade creations.